AS LOW AS: $76.20/box after mail-in rebate - details below!!! 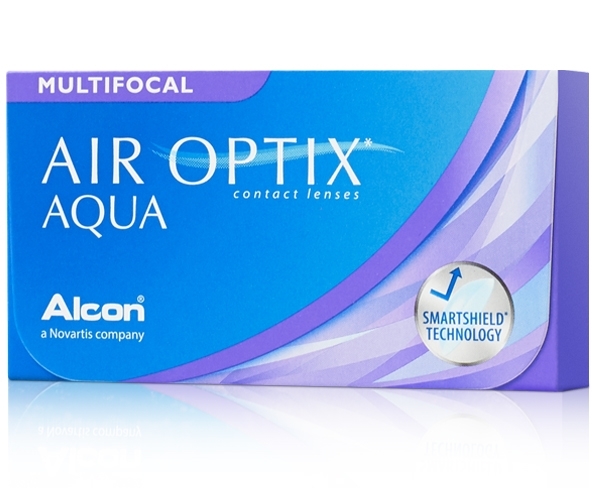 Air Optix Multifocal contact lenses from Ciba Vision uses advanced silicone hydrogel technology to create breathable lenses. Air Optix Multifocal provides the highest oxygen transmissibility for up to 6 nights of extended wear. Valid On Purchases Made:02/01/2019 - 07/31/2019. Terms & Conditions apply. $50 Rebate - Only valid on an annual supply (4 boxes) of Alcon contact lens products. Enter FSA-STORE to begin your claim. For rebates on purchases made prior to 02/01/2019, visit Rebate.AlconChoice.com.